Just lounging around at the shows. I told you they were always together! 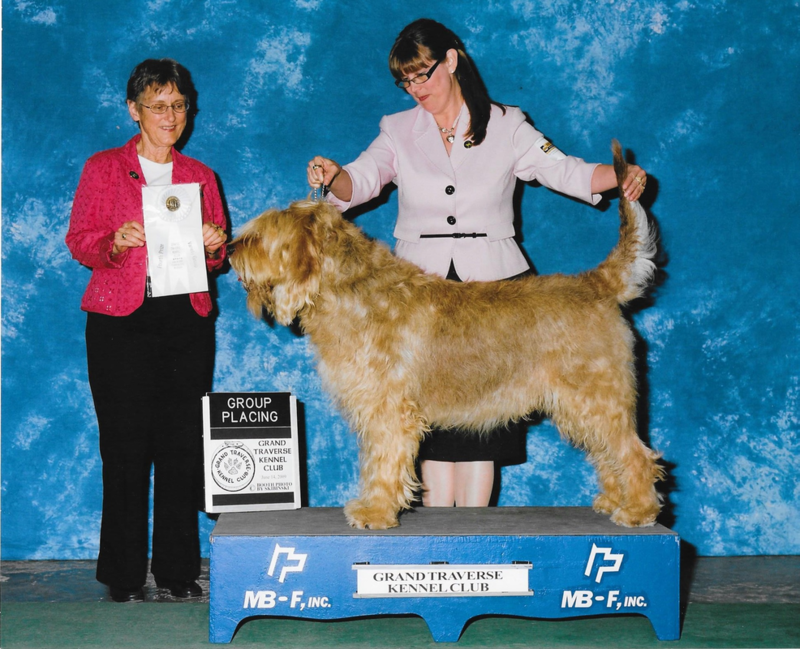 Karmen and Dazzle at the Aliquippa Otterhound National Specialty in 2010. Another thrilling Group placement under Judge Joseph Gregory at the Monroe MI show with a large hound entry. There is nothing like a kid and her otterhound to make you smile! Oheavens has had some real heartbreak over the years, losing puppies from our breeding. In true Scentasia style, Betsy Conway and Donna Emery offered our young daughter Karmen the pick of the litter in their upcoming breeding. When the pups were 8 weeks old, we headed to the puppy party in New York, and it was time for Karmen to pick her pup. Once Karmie hit the back yard, one pup named Pepper followed Karmen everywhere, leaving her siblings to stay with our little girl. It was a match meant in Heaven. Karmen and her Dazzle are truly inseparable. 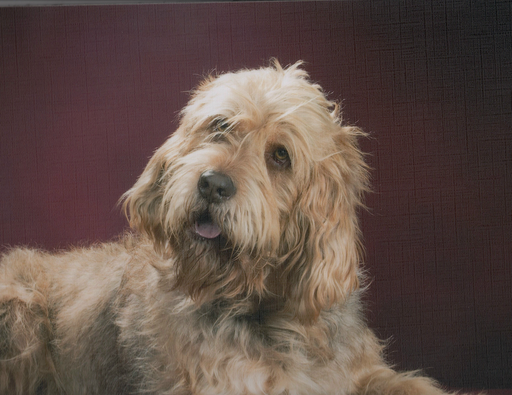 She owner handled Her Dazz to number 4 Otterhound in the country in 2010, and kept Dazz busy through her 4H club working in Agility, Rally, Obedience and Showmanship. We lost Dazzle in August of 2017. She is never far off from our minds, and we miss her each and everyday. Barker was my heart dog. Scentasia sent him to me right after the loss of my Mother and my Brother in law which was a time of such sadness. Barker was instrumental in helping me through my grief, and he filled my days with so much joy and laughter. He was my first true show dog, and even though we had a lot of success in the show ring, I was happiest at home with Barker getting his big ole sloppy kisses. We are so sad to have lost our beloved Barker at 10 years of age on October 13, 2014. We have lost a piece of our soul, and I await the day he meets me at the rainbow bridge. 11 months old at the 2005 Otherhound National Specialty winning the Best In Sweepstakes with Judge Louise DeShon. Barker winning one of many Group Placements. Here he is was awarded by Judge Rita Biddle at the Traverse City Michigan show, one of my favorite show sites. First meeting between Barker and his niece Dazzle Thank you Scentasia, for providing us with our foundation Otterhounds. 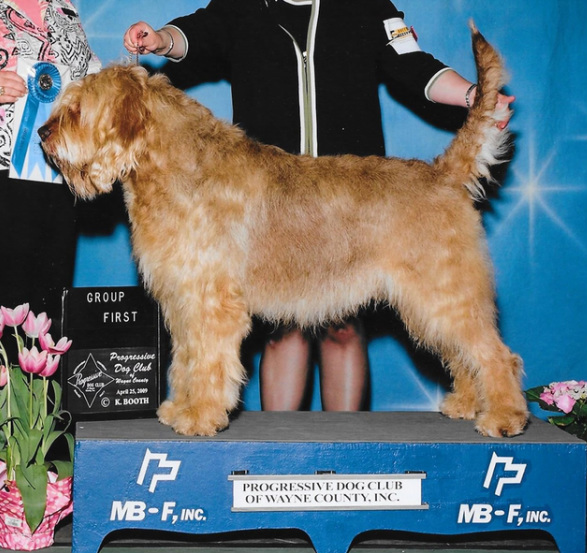 Barker winning Best In Show at the UKC Winter Classic at Kalamazoo Michigan under Judge Sandy Shaw.